What a BUSY summer it’s been so far! Old Salt Farm is just a few weeks away from being finished (update post coming soon), and there has been so much to do. We are busy building: barn doors, our kitchen island, mudroom lockers, benches for the kitchen, plus refinishing furniture and about a billion other things. Plus, you know how it goes, when kids are out of school, life is just busier in general. It’s a good busy, though! I have started thinking a little about school starting (is anyone else obsessed with all the school supplies? I LOVE them! ), and even though we don’t go back until after Labor Day (we didn’t get out of school until the end of June), I know many of you start back in August. I love to give some kind of “apple” to my kids’ teachers at the beginning of the year, and this cute Apple Nail Polish gift idea is SUPER easy and fast–we’re talking less than 5 minutes! 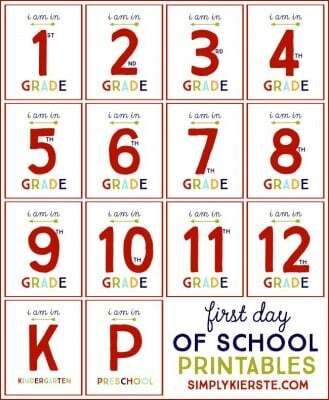 I just love it, and it’s perfect not only for teachers, but for you and/or your kids to give to friends to kick off being back-to-school. And did I mention it was easy? Just a couple supplies and a few minutes, and you’ve got an adorable gift! Cut out a small leaf from the polka dot/patterned/green card stock or scrapbook paper. I just cut it out without tracing, but you definitely can if you want to! Print out the tag on to kraft card stock and cut it to size. Punch a hole in the top of the tag and the leaf, then use baker’s twine to tie them on to the nail polish. This is so adorable! I think I’ll send some to school with my daughter for her new friends!